You might think a house swap sounds like something off a rather naff daytime TV show. 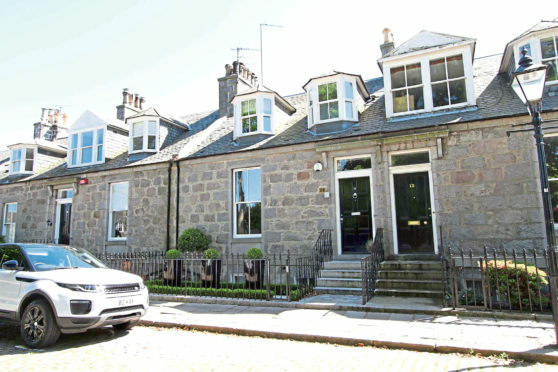 But for Karen Murray it worked like a charm when she was looking to relocate to a period property just a mile from her previous home nearly eight years ago. The 59-year old is originally from closer to the central belt, but since work brought her up to Aberdeen she has made her home in the west end of the city. “I had a huge double-upper flat in Rubislaw Den before I moved here,” says Karen, who is recently retired. “I absolutely loved the area but in all honesty the house was too large for me living by myself. “So I was on the house hunt for ages and looked at 22 different places but none of them were right. “I was sort of giving up hope really when friends who lived on Albert Terrace said their neighbours were looking for a house with more space. “I got in touch with them and as soon as I stepped inside Number 11 it was love at first sight for me. 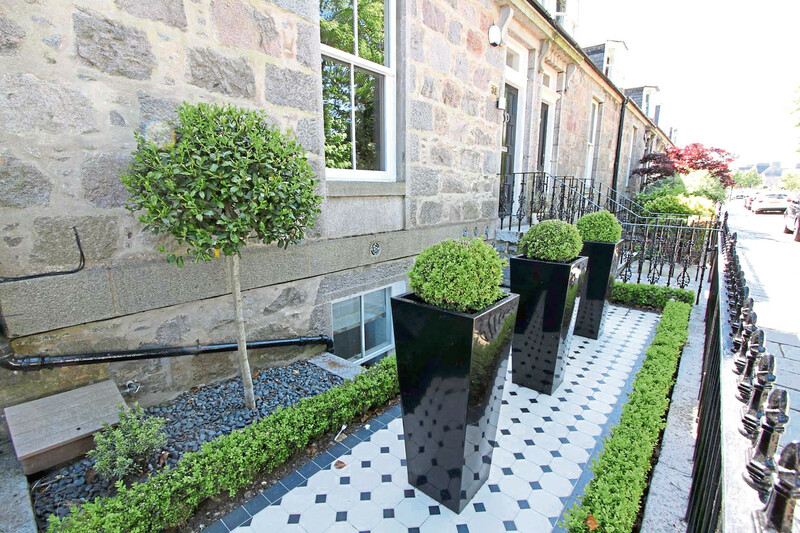 The four-bedroom property is immaculately presented, forming part of a charming cobbled street near the centre of Aberdeen. Despite its proximity to nearby amenities, inside the property is remarkably quiet with traditional thick granite walls keeping out all the sounds of the city. “That’s the beauty of Albert Terrace,” says Karen. “From the outside the houses look like cute little dolls houses – you have no idea that they are so generous behind the front door. “The street was built in 1869 by Archibald Simpson and is a Grade B-listed conservation area. The inside of Karen’s property is as immaculate as out, with fantastic period features emphasised by careful attention to detail. Karen’s method has neutral walls and furnishings paired with unusual pieces of art she has picked up over the years. “I love art,” she said. 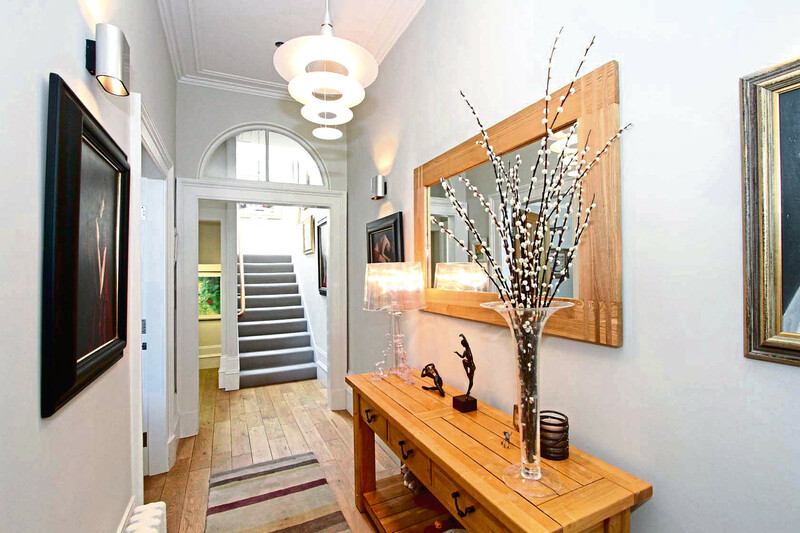 “My interior design style is all based on art and the paintings I bring back from trips abroad or from galleries around Aberdeen. I wouldn’t say I’ve got a particular style, I just go for whatever catches my eye and try to find a space for it to fit in the house. 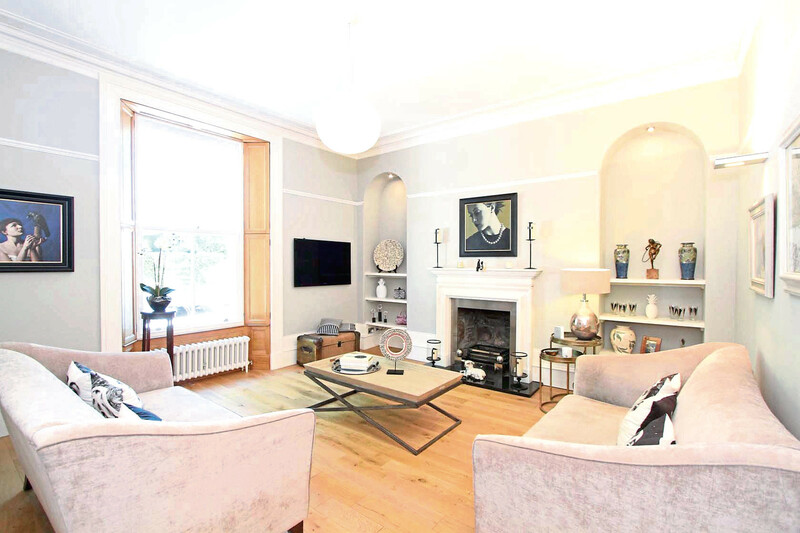 The lounge itself is bright and spacious, with solid oak flooring and a Chesney limestone fireplace adding character. 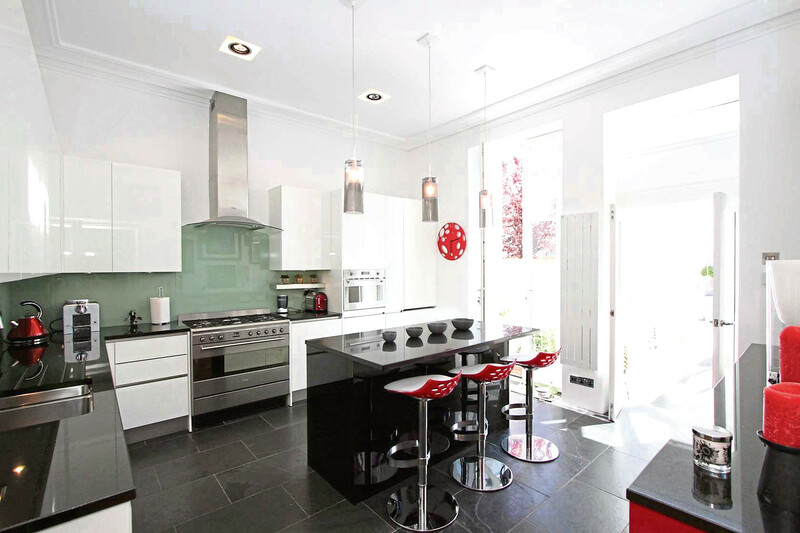 In the kitchen, solid granite worktops and glossy units make the space both modern and usable, with tall windows flooding the room with light. It leads through to a generous sunroom that offers an additional family area for relaxing as well as the perfect space for hosting guests. “The sunroom is probably my favourite spot in the house,” Karen says. 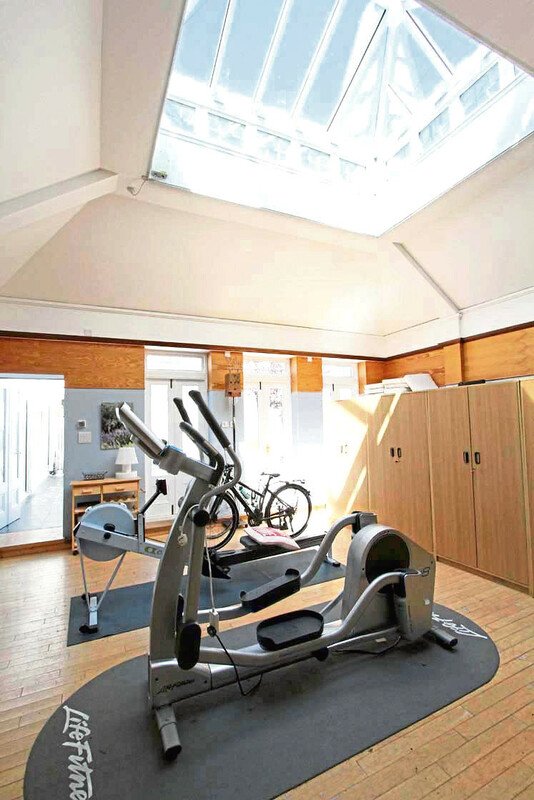 The sunroom leads through to a large double garage, currently being used as a home gym. On the upper floor there are two double bedrooms, both of which are fitted with built-in wardrobes and offer lovely views over the city’s west end. The family bathroom is fitted to a high standard with a white three-piece suite and large walk-in shower enclosure. Downstairs, the ground floor leads to a lower basement level offering further accommodation. The two bedrooms here are both of a good size and feel bright and airy with plenty of natural light. One of the rooms benefits from a modern en suite while a separate shower room is also available on this level. Completing the accommodation is an additional utility room that houses white goods. “I will really miss this house when I leave,” says Karen. “But I always told myself I’d go back down south with I retired and I’m hoping to relocate to Edinburgh soon. 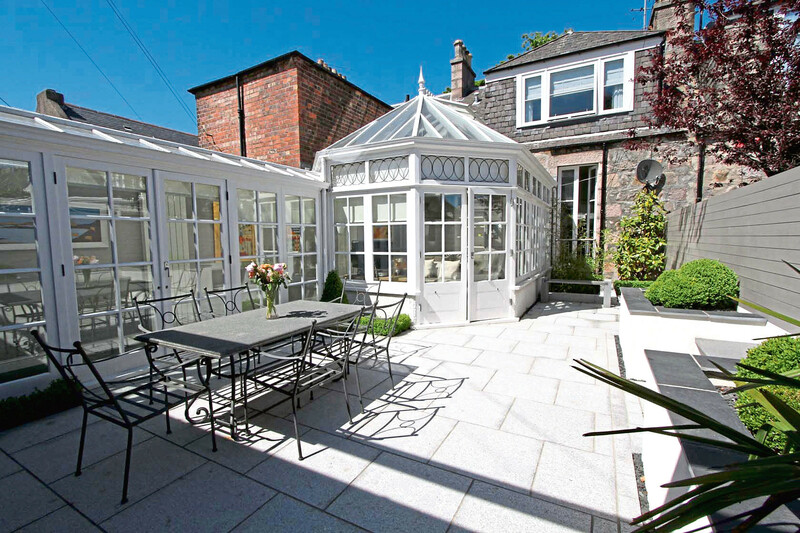 Offers on 11 Albert Terrace should be made in the region of more than £700,000. Contact Burnett & Reid LLP on 01224 646565.